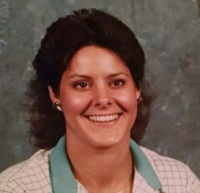 Michelle "Shelly" Safreed, 53, of Columbus,Ohio passed away suddenly on Thursday, June 16, 2016. She was born in Columbus on November 26, 1962 to Patrick and Patricia Brown. Michelle is preceded in death by her parents and brother, Victor Brown. Michelle is survived by her children, Michael Safreed and Sara Safreed; brother, Scott Brown; three grandchildren; stepfather, Glenn Adkins; Godmother, Nancy Hall and nephews, Zachary and Nathan Brown. Also in The Columbus Dispatch. [S127] Columbus Dispatch, Columbus, Ohio. Hereinafter cited as Columbus Dispatch. [S2158] Ohio Department of Health, Ohio Divorce Abstracts, 1962-1963, 1967-1971, 1973-2007, online Ancestry.com, Gary W Safreed and Michell M Safreed, marr. 8 yrs., one child, divorce decree 16 Sep 1996, Columbus, Franklin Co. OH.